Ads on YouTube videos are about to get more powerful… or annoying, depending on who you ask. A new feature called TrueView for shopping is meant to make it easier for viewers to learn more about a product or make a purchase. 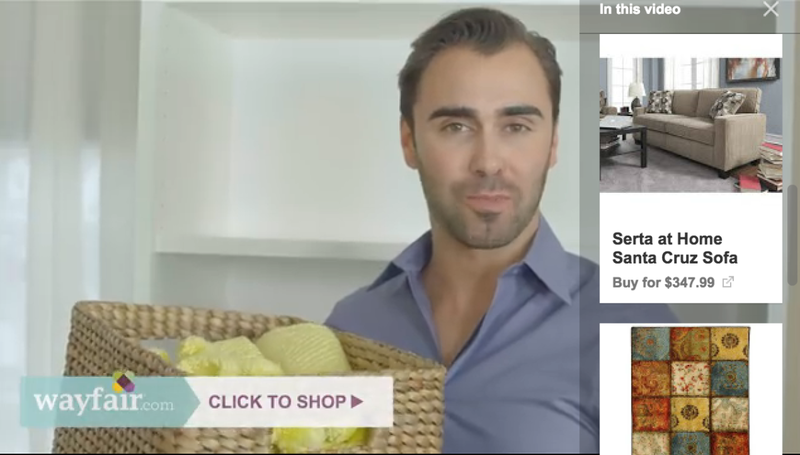 Taking advantage of the Cards platform YouTube announced last month, the new TrueView content shows direct links to the products displayed in an ad, taking you to the relevant page on the brand’s website. As with all cards, the ads work on both mobile and desktop, and advertisers can link the feeds directly to the Google Merchant Center. The company says brands that have previewed the feature have seen some big improvements in their sales. Sephora, for instance, saw 80% more people considering products. To be clear, this doesn’t mean you can buy products directly from YouTube.com or the mobile apps now, but it does make it a bit easier to get to the right shopping pages if you’re genuinely interested.